From literacy instruction to arts and technology integration, explore strategies for engaging English-language learners. Now is the time of year to learn about and share cultural traditions in a way that expands students’ knowledge, interest, and respect for all people. The article referenced below offers teachers suggestion son how to observe the variuos cultural and religious holidays and celebrations in their classrooms throughout the year. For teachers who work with English Language Learners (ELLs), ensuring that students have the appropriate support and services to meet their unique needs can be a big challenge. We’ve created an in-depth resource section featuring recommendations and resources to help educators, administrators, and families to work together around this complex topic. Read about learning and attention issues in children who are english language learners. Learn about the accommodations for ELL students and how it effects your child. This ESL Kids Stuff site offers songs, 1000+ worksheets, 1,500+ flashcards, readers, crafts, games, apps, lesson units, and even templates for student awards and lesson planning! Lessons are designed for children aged 3-11 years. Membership is US $29/year for unlimited access to downloadable and on-line material. Teachers and tutors can go to the Teacher’s Resource page for ideas and continuing education. Among the items they’ll find on this page are links to the site’s ESL Kids Classroom Games & Activities list and an article entitled, “Adapt Your Lessons to Cater to the Different Learning Styles of Your Students.” I hope you find this site useful for your purposes! This site offers FREE picture communication cards, songs, games and learning activities for English Language learners (picture vocabulary). They are designed to help native English speakers with communication-related disabilities, but the activities and pictures are helpful for ANY person learning to speak, read and write in English. Welcome to my blog for English language teachers! My focus here is on methodology, strategies, and classroom activities. I offer ideas with the hope to facilitate a positive teaching experience for you and a successful learning outcome for your students. If even to a small degree I am able to encourage creativity, promote reflection, deepen your passion for teaching, and facilitate your students’ learning, then I will be extremely pleased. We are fortunate to teach at this time, when online resources for our profession are plentiful, but in reality there is very little time to explore and examine them all. That said, I am genuinely appreciative every time a teacher visits my blog, and I thank you for your support of my efforts. I will do my best to offer ideas that have relevance, value, and immediate application to your teaching. *Not using phonetic symbols. The // represents a syllable in English. The capitalized words should be stressed and the ‘ shows where are joined together and read as one word instead of two or three. Hopefully,the description above explains why it is difficult to follow spoken English when it is spoken quickly. The video series will offer you strategies to making sense of such speech! To access information on how to use her videos for instructional purposes, please go to: https://www.youtube.com/user/JenniferESL/about. 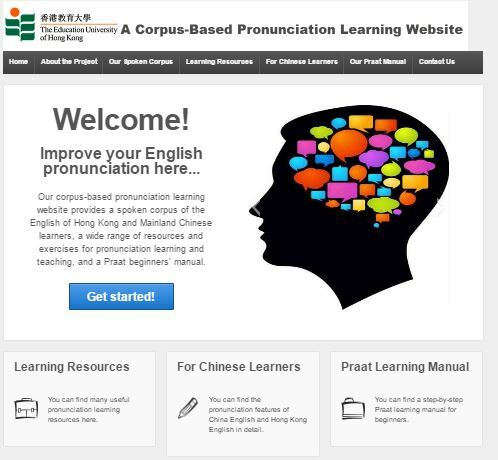 This “A Corpus-Based Pronunciation Learning Website” from the University of Hong Kong site offers excellent information and activities for teaching AND learning English language pronunciation skills. It also offers resources for how to learn Chinese! Below are images of activities I’ve done during lessons with children. NOTE: I created these material using images available for educational purposes. Thus, the material below is for lesson/classrooom use only. The images of children in the Book About the One and Only Me activity are not my students…they are free-use images from Pixabay.